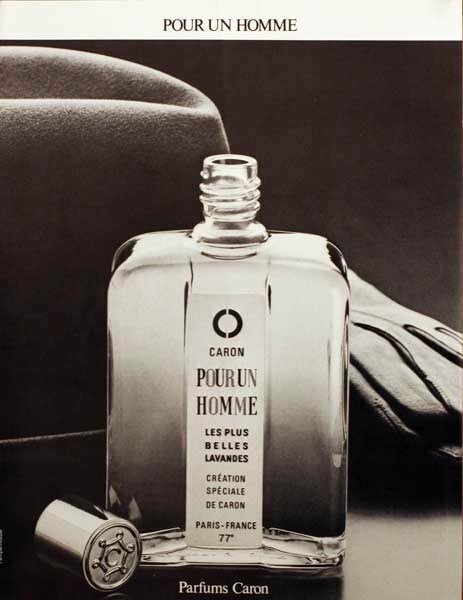 Pour Un Homme de Caron (Eau de Toilette) is a popular perfume by Caron for men and was released in 1934. The scent is spicy-sweet. It is being marketed by Alès Groupe. At Christmas I wore Caron's Nuit de Noel and my husband asked what it was. I told him a smell of Caron, an old perfume house. He didn't. 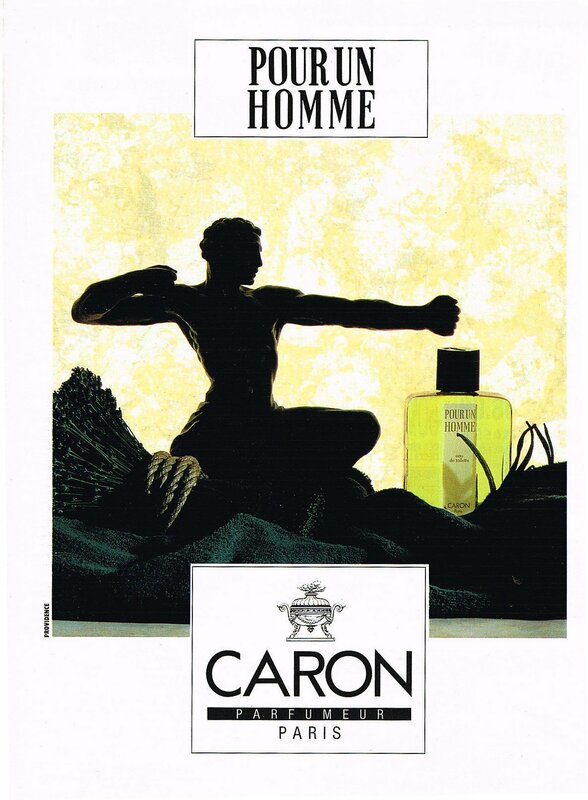 Between you and me, it wasn't the first Caron fragrance he asked for. He always asks about the scents of Caron. 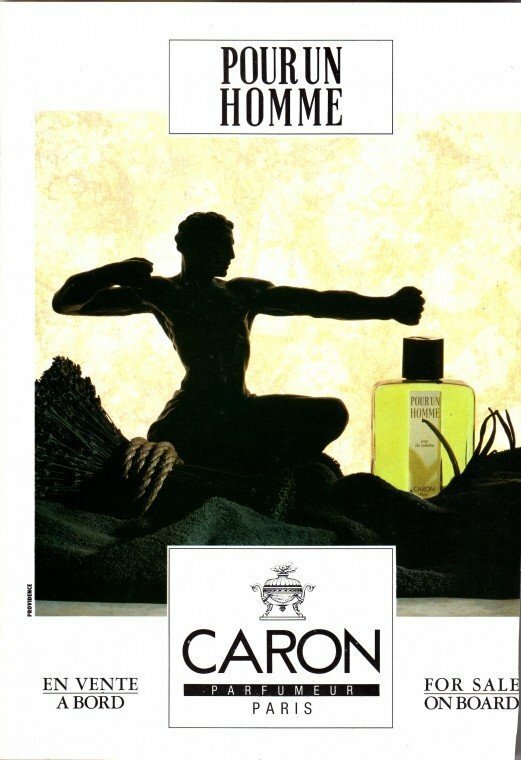 I noticed that he does not have a single Caron fragrance in his collection, or has ever tested a men's fragrance. So I looked around for the reviews here at Parfumo and ended up with this fragrance. 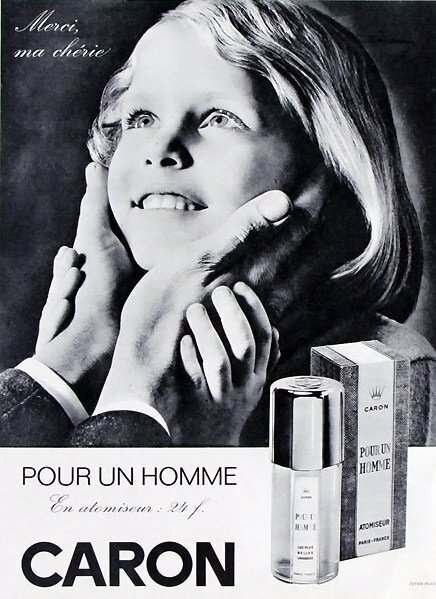 Pour un Homme - Lavender and vanilla sounded good, classic and oldschool. The fragrance is said not to have been changed since 1934, writes Parfumdreams. I wanted to order a perfume for myself and ordered Pour un Homme right away with. When he arrived, my husband sprayed it right on. I had warned him about the big start. "Good," he said, but that could mean anything to him. 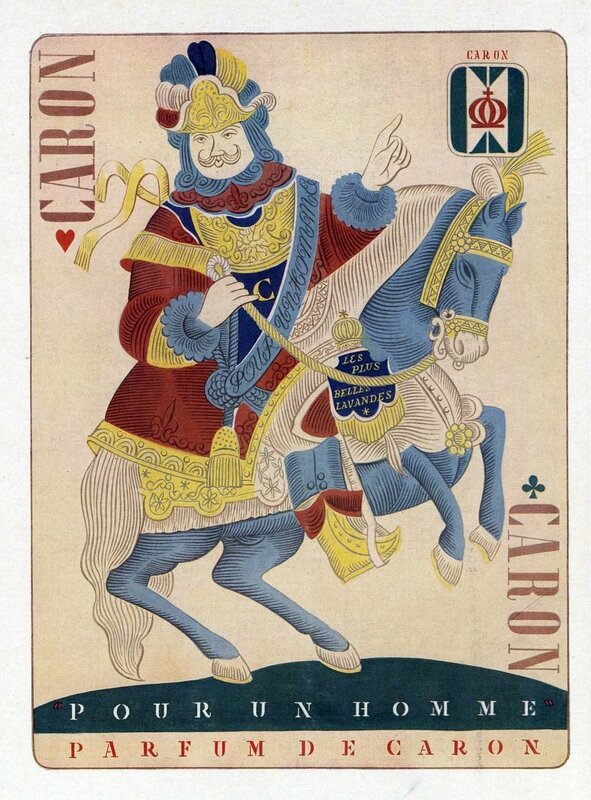 He is a diplomatic Libra and prefers to wear Interlude or other Amouage fragrances, possibly a few mainstreamers. I thought the scent was a little too soft for him. "Maybe more for home," I thought. The natural lavender note is very concise in the beginning. Like a typical Provence lavender scent. The addition of rosemary and citric notes supports the lavender note even further. At the same time you can smell a nice and soft vanilla note, little sweet, but quite powdery and amberious. This is the first powdery men fragrance I ever smell. That and the fact that there are few typically male parts in this fragrance has made me spray it on as well and I love it about me. I find the fragrance absolutely unisex and wearable for women. Neither does it have a disturbing woody note, nor anything stabbing. It is simply soft and round, harmoniously composed. In my heart I even smell a very soft note of roses wood, which you can hardly find in scents nowadays. I love the scent. Mon Guerlain is quite successful with his modernly interpreted sweet lavender note, but I don't like it as much as Pour un Homme. However, the scent can hardly be smelled after a good 5 hours on the skin. He keeps his hair a little longer and only becomes really beautiful after 30 minutes. I also like to smell lavender on its own, but the combination with the powdery vanilla is simply great. Since the fragrance can also be bought in very large flacons and this is very inexpensive, you have to top it up and spray more often and through the first 30 minutes through. I have now added the fragrance to my own collection and now wear it for the third time in three days, which is a lot for me. If my husband will even wear it, I can't say. I have found a great fragrance for me and wouldn't have expected it at all, as I find it rather difficult with unisex fragrances. Homme doesn't mean "only" man in French, I learned here, but also man. There you go, this scent is for a man and not just for a man. Well, what luck, that's me. Everybody has a signature scent. It means that you never get tired or bored with it. If you decide to change it, it doesn't mean that you ceased to love the former signature perfume. Unlike in divorces, where you end up developping an alergy to your former spouse, you just started to fancy more a new scent. But previous signature fragrances have their own special "gallery" in your closet and you will surely keep on wearing them from time to time, just like you do with your former college sweet hearts. Another special wardrobe gallery houses perfumes with another classification type: they'r the "wannabe" signature scents. "Wannabes" are the fragrances on the edge of becoming a signature scent, but for some ignored reason they are still waiting to achieve that honor. Probably a "wannabe" is often used. You may even apply it more times than you do with your signature scent. 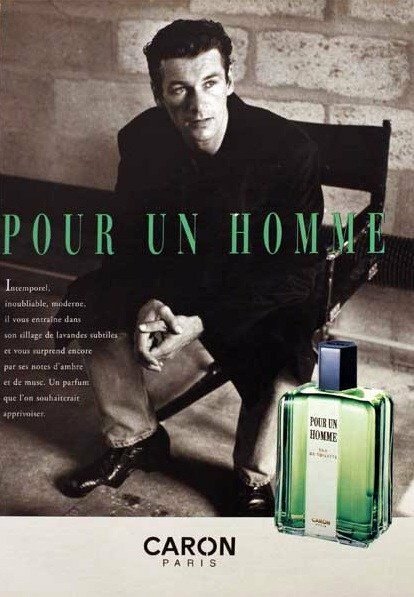 "Pour un Homme" is one of my very much loved "wannabes". This Caron's jewal it's more than adequate on the performance side, with more than 8 hours of longevity, quite more than an arm length of sillage, and projects almost for three hours. It's perfect for Spring and Fall, meaning that it handles well Summer nights and probably Winter days. It is also a "use it everywhere" fragrance as well. It's not the best for clubbing but is very good for formal events, a night out, office, at leisure, intimacy, dinner with friends, daily casual,... you name it. It's even very nice to use in the gym. Today in the office I have been remembered of how good this fragrance is, due to the numerous compliments I received. Women do like to smell it in a men, and many times they like to wear it themselves. I also like it for a more selfish reason. I use it often just for my self, and every five minutes or so I sniff it in the back of my hand. Pure pleasure! 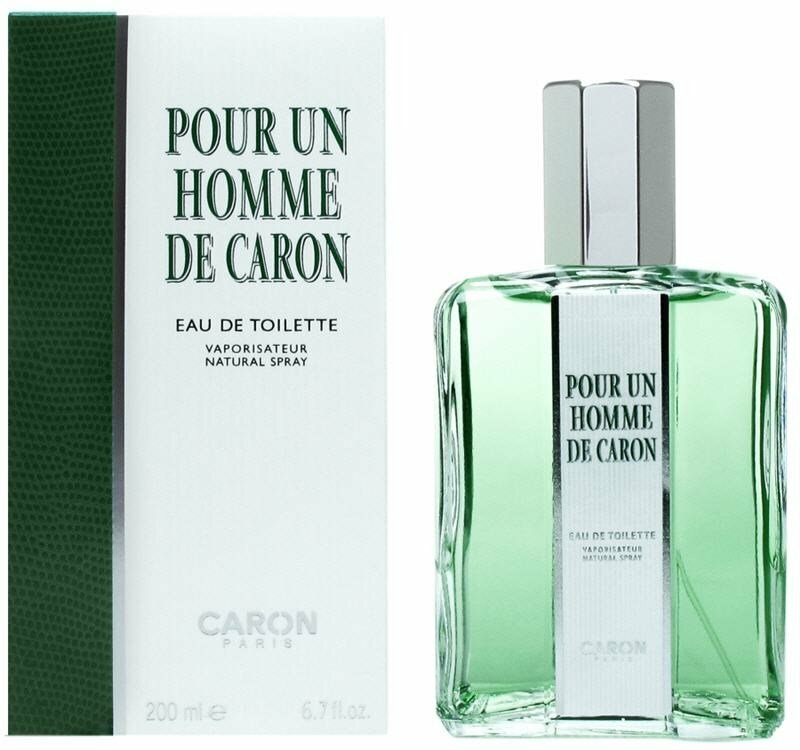 Usually I am neither a fan of a to strong lavender or vanilla note, neither of any type of rosemary... the three notes I pick the most in "Pour un Homme". And I just love them the way they are blended by Caron. I recommend this ecletic perfume all the time, probably even more often than I suggest my less versatile signature scent. How do I rate this "wannabe" of mine? This is a very good fragrance that you can use and abuse. The lavender/rosemary accord in the opening and the moderately sweet vanilla dry down are just great. Recommended? Yes! Your wife will thank you, and everybody except your kids will compliment you. Blind buy worthy? Yes with no risk at all! Music: Dalida - "Pour un homme"
I have specified PuHdC EDT as my signature scent. That's not exactly true. Actually, it's my relapse scent. The scent I always use when all the others can't tease me right now. Or if I'm not in a good mood and just need a little well-being. I want to release happiness hormones. I feel lonely, but I don't want to call or meet anyone. Or on the contrary, I am so happy that I want to express it olfactorily and want to have the whole world around me. You'll notice it's not a scent like any other. What makes him so special to me? First men's EDT, virtually unchanged since 1934. Lavender, vanilla, dot (Ok and a few more things to sand down any unsightly corners). If you can't describe, you have to feel. As above, only more subtle. Because I've never seen her anywhere else like this before. What else you might want to know: When I first put on this fragrance, I was disappointed at first. I thought he was really mean. You have to go through the first quarter of an hour in which the lavender can smell almost onion-like. But without suffering there is no salvation. And one more thing: this is the entry drug, which could perhaps be regarded as reasonably socially acceptable. Published the year Leopold III became King of Belgium, the state of Mecklenburg was founded and the post office changed its colors and and and and. An old gentleman is this piece of jewelry. Lavender and vanilla find an incredible wedding, it is love at first sight, they harmonize perfectly, simple yet ingenious. An all-rounder but also one you have to dare. Perfect for me even in midsummer on a barbecue evening with friends. So you have to imagine a lavender field at dusk. For me this old guy is enough, it doesn't have to be l impact, because from the durability he tears more than an eau de toilette actually promises. Everyone can wear anything, but I would let myself be carried away by a tendency, I would say for everyone over thirty. A timeless classic and a hymn to the warm summer evening. Not my first comment for Parfumo, but still my first consciously, i.e. with consciousness and consideration bought fragrance. Anyone who has read my introduction in the blog knows about my tender love for the work Heimito by Doderers, and anyone who in turn knows this knows about the prominent place occupied by the lavender water in it. Since I could now find out that Filz from Vienna did not send his lavender water (according to literary research the same water that Doderer himself used) and I did not want to and cannot fly to Austria alone for a scent, a substitute had to be found. And here it comes: The lady in the drugstore giant (the one with the big 'M') had a hunch (!!). After a short conversation (and secretly! Forbidden! Certain colleagues squeal like the branch management! ), a woman of slightly elevated age, who was formerly probably, as I was told, more deeply involved in the industry, wrote down the name of an allegedly ancient, quite different lavender scent, which was neither here, nor at the Türkisen or elsewhere, but only in the real, traditional specialist shop - in this case Vollmer in Bonn, as I was told. Male, distinguished, created long before lavender was declared a slippery women's fragrance. So I went to Bonn with wet hands, to Vollmer. Lots of old wood marvelled at, as if I knew what I was doing and carried home the last dusty OVP "pour un homme". Should I - as a determined lavender adept - have been disappointed that after a short time the vanilla even sets in so dominantly? I would have. Pure gauge etc. But I wasn't. The elegant, at the same time emphatically casual and skilful simplicity of the lavender-vanilla-dual sound (no "real" chord, rather a power chord, guitarists will understand...) is too self-confident in the room. Like an Italian gentleman in his prime, who knows how to master the art of the "Sprezzatura", so that it is forbidden to point out to him the apparent carelessness, empty spaces and "mistakes" of his outfit. Everything exactly considered, wanted and - skilfully. I hardly or not at all smell the other notes listed, which leads me to assume that they alone serve to enhance the refinement; vanilla, for example, I suspect, becomes warmer due to the traces of musk, rose and woods, less sweet than dark, so that lavender can still do its work in the background after hours without sticking together. Sillage and durability are appropriate, i.e. withdrawn but still subtly present. Just as Doderer - forgive me the crowbar - wished for his waiters in the coffee house. Sorry, but to me this fragrance don't work at all. It was a blind buy that that i regret, but my wife love the scent... The lavander is to difficult and green i prefer the kind of lavander of Prada luna rossa. My advice: try it before buy it. Update: I give it a new chance. I try to ignore the firsts minutes, and after that I get a soft barbershop scent, not so bad as the first time... my wife still love it! 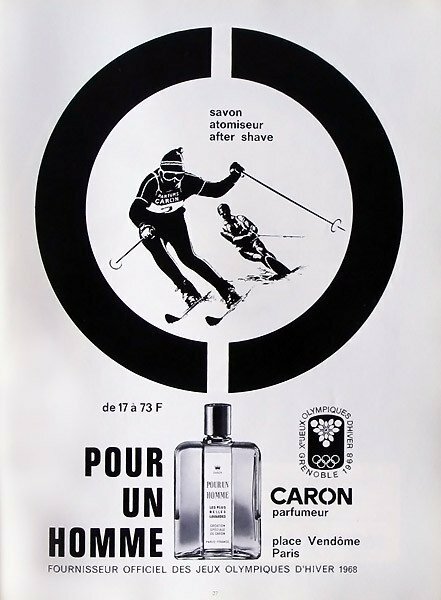 I've turned my nose to “Pour Un Homme de Caron” because it's a classic masculine fragrance which, in spite of (no doubt) numerous reformulations, has stood the test of time, moving effortlessly across the decades and into the future. 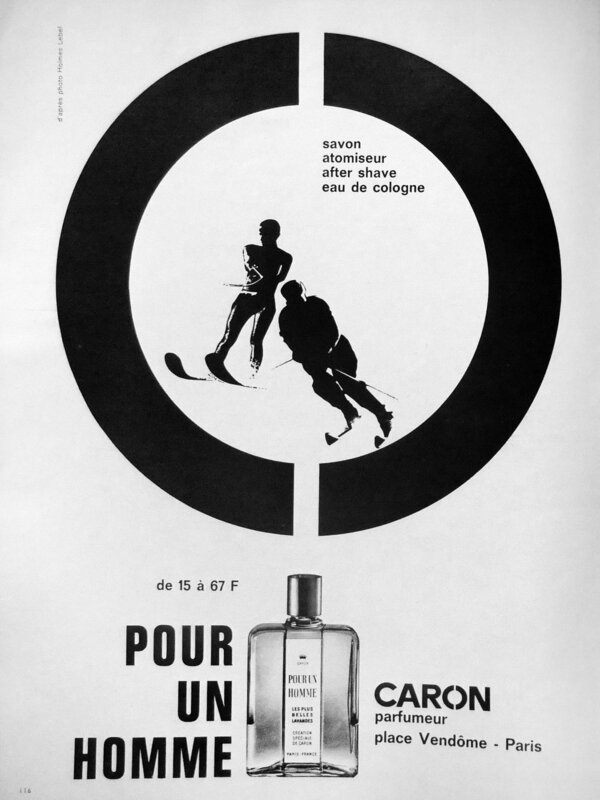 When it comes to its composition, “Pour Un Homme de Caron” is a straightforward fragrance. The two notes in the limelight here are lavender and vanilla. I detect a soft musky background in the base as well. The scent is light and unobtrusive, yet it has a pretty decent longevity. The lack of complexity legitimately attracts some criticism. I myself, for instance, prefer more full-bodied perfumes in the colder months of the year. But let's face it. Aren't there times when many of us find comfort in unpretentious, well-composed perfumes? As far as this function is concerned, “Pour Un Homme de Caron” does wonders. 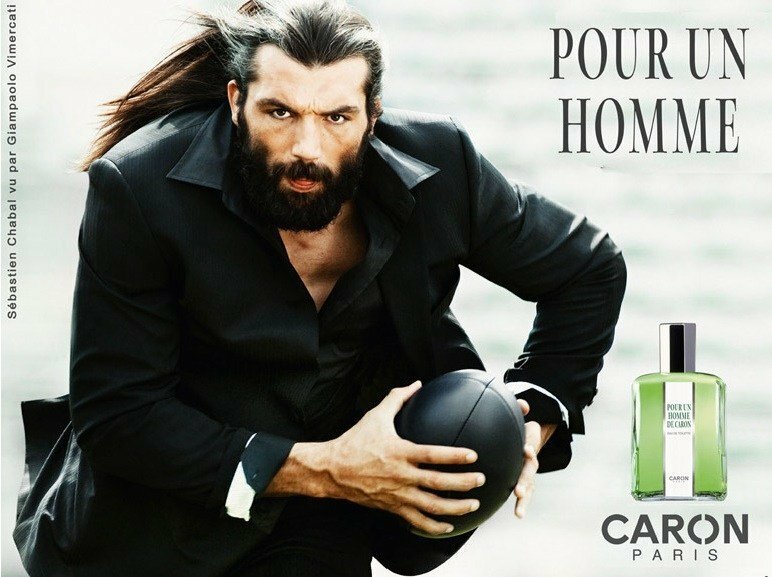 While there are heaps of fragrances that are claimed to be “timeless”, “Pour Un Homme de Caron” rightfully deserves this attribute. Not tied to any particular period, it still oozes refinement and natural elegance, and can be worn with a smart suit as well as a T-shirt and jeans. In my view, it works perfectly on a crisp spring or early summer morning, making the already fine day just a little bit more special. 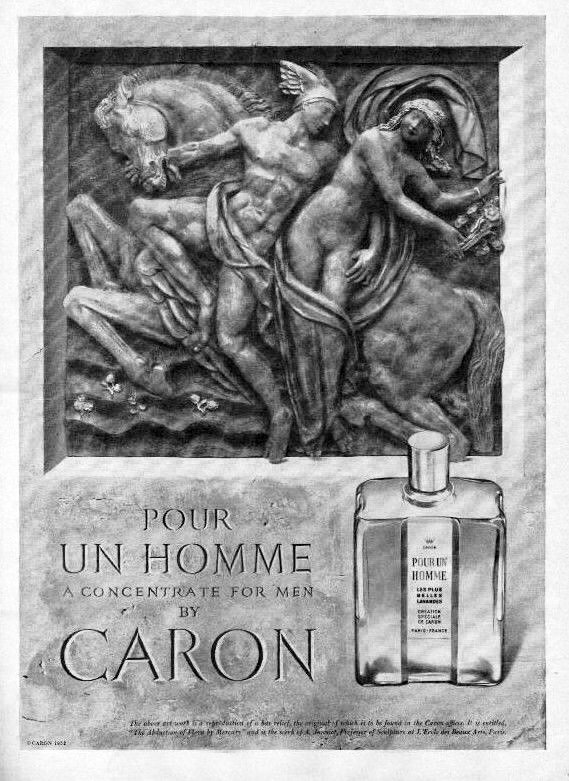 I, too, feel that Pour un Homme is about lavender, vanilla and nothing much else. Whatever there's listed on the pyramid, it's there for adding durability to the lavender. 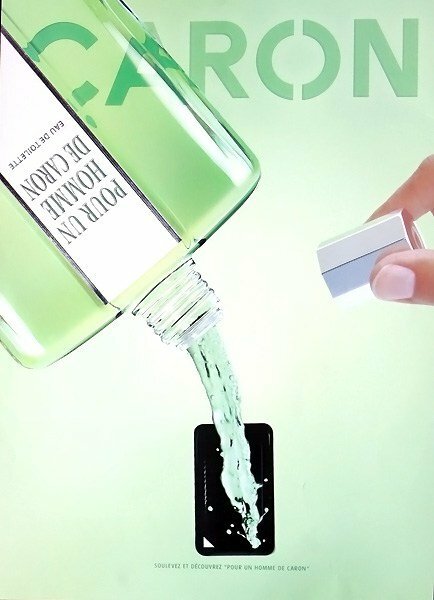 I was going to say it's there 'for structure', but after giving it a second thought, it occurred to me that Pour un Homme doesn't really have a classical top-to-down structure in the manner of, say, Guerlains. This stuff is surprisingly linear as the vanilla kicks in early and the lavender hangs on late. The lavender is well balanced between being metallic and burned sugar -like. The funny thing is that the lavender and vanilla never really connect (or form a synthesis like they do in Guerlain's Jicky). They just exist, side by side. The genius of Pour un Homme's structure is in its, umm... structureless ...ness. Someone might ask how does this compare to Guerlains Jicky or Mouchoir de Monsieur in terms of wearability. While I admire Jicky for it's historical significance and enjoy wearing both (especially MdM) a lot, I don't perceive either as an everyday fragrance. 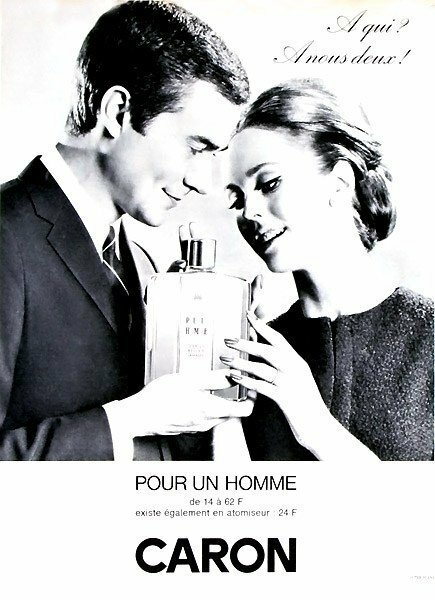 In comparison, Pour un Homme is much less formal; something I happily wear at the office and don't mind reapplying in the afternoon. I'm sure nobody will be offended and most likely many would be surprised if I told them I'm wearing a 80-year old formula. Longevity is not remarkable, but liberal application on both skin and fabric will help. Also, reapplying during the day feels great and it won't mess with the dramaturgy, as the structure is what it is. And before I forget: the bottle is wonderful. First of all, I love Lavender! I think it's so soothing and cool and aromatic and calming... and if you are like me, then this thing is Lavender Heaven in a Bottle! 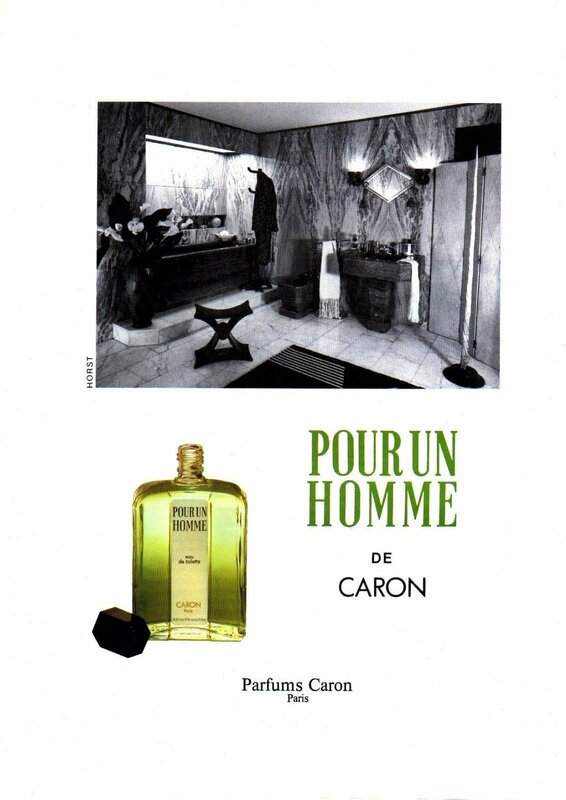 Pour Un Homme de Caron is a wonderful fragrance for any man and any gentleman out there! Even though it was released 80 years ago, it doesn't smell dated! It smells classic and refined! It's basically a Lavender and Vanilla combination, with Musk in the base, and this is the same Lavender Vanilla which came from Guerlain - Jicky, and which continued until Jean-Paul Gaultier's Le Male, Dior's Eau Noire, and more recently, A Taste of Heaven by Killian. However this is the daddy of them all! This is a classic fragrance which has a dominant, smooth, herbal Lavender note, surrounded by Sage, Rosemary, Moss, Tonka, Amber and Vanilla. The opening is bright with Lemon and Bergamot, and the heart has Rose, Rosewood and Cedarwood. What I love about it, is that it strikes a fine balance between herbal, smooth, and sweet... and in no way is it ever cloying or offensive, it's just beautifully and masterfully done! To me, this is classic French sophistication in a bottle. Any man could wear this, at any time, at any place. It has no boundaries. The only requirement is that you love Lavender (with a little sweetness attached). I really can't see how anyone would not like this. For me, I love it! It makes me happy just to smell it anytime of day. Beautiful, beautiful stuff. Totally worth the price, and much cheaper than other "imitators" out there! Enjoy! I have always loved the smell of lavender, even before I started collecting fragrances. Lavender grows in my garden and is one of those plants that can survive a hot Australian summer with minimal attention. I read many rave reviews about this 'classic', but as Caron products are not available in retail stores where I live, I never got the chance to try it. 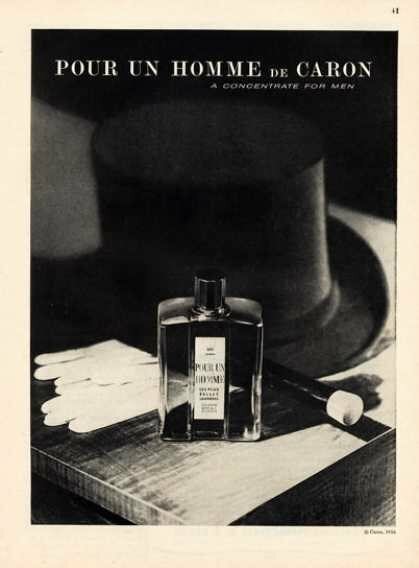 Eventually I managed to get a 200ml bottle of Pour un homme from ebay quite cheaply. When I first tried the cologne I really liked it. There is no attempt to hide the lavender in this fragrance: it is quite clearly the centre of attention. I cannot detect a huge range of notes, just lavender and vanilla with a general leafiness. I thought, "how hard can it be to make a copy of this. ", so using essential oils I made something that is similar, but lasts about 1/4 of the time. How they get the fragrance to last so long is remarkable. It is one of those simple, comfortable perfumes that people will continue to buy as it is evoke memories. Classic. Masterpiece. Timeless. Modern and retro at the same time. If you survive the opening, you'll certanily enjoy it. This is a must have for any fragrance lover. It's a simple combination of lavander and vanilla that besides being simple, smells great. One of the best lavender based fragrance i've ever smelt. In my opinion this is even better than Serge Lutens Gris Clair. One of my very most beloved fragrances. This really helps me unwind! It opens with a tremendously herbal and intoxicating natural lavender that's breathtaking. It begins to emanate more sensual notes under the lavender of cedar, vanilla, and musk. The interplay between all of the notes would be revolting if it wasn't so comforting. The whole effect is something akin to the smell of my grandmother's cedar linen cabinet, always stocked with Yardley English Lavender soap. It manages to remain handsome, and the vanilla/cedar/musk combo is to die for despite the ice cream comments here. 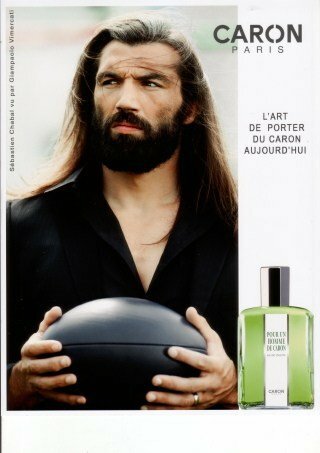 Just the best lavender perfume "pour homme" on the market. Lavender mixed with a hint of vanilla - a very simple, plain structure, but a beautiful result. If you are in love with lavender, this one will capture your heart. Gorgeous! I love lavender and I love vanilla. I think Jicky is spectacular. Why is it that I can’t stand Pour un Homme? Every bit of the balance that I find so delicious and enticing in Jicky is out of whack in Pour un Homme. The lavender and the vanilla never come together and the other elements I can find are on the sidelines urging on the fight. Rosemary curdles the vanilla and tonka blunts the lavender. There’s a feeling of objects flying at each other, hitting, and landing with a dull thud that unfortunately lasts for hours. 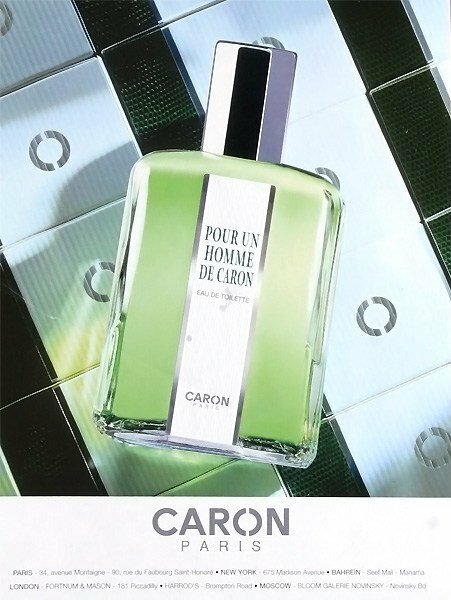 I am aware that this fragrance has its loyal fans, but to my nose, Caron POUR UN HOMME is a loud lavender-vanilla cologne. You have to really love lavender to wear this one. 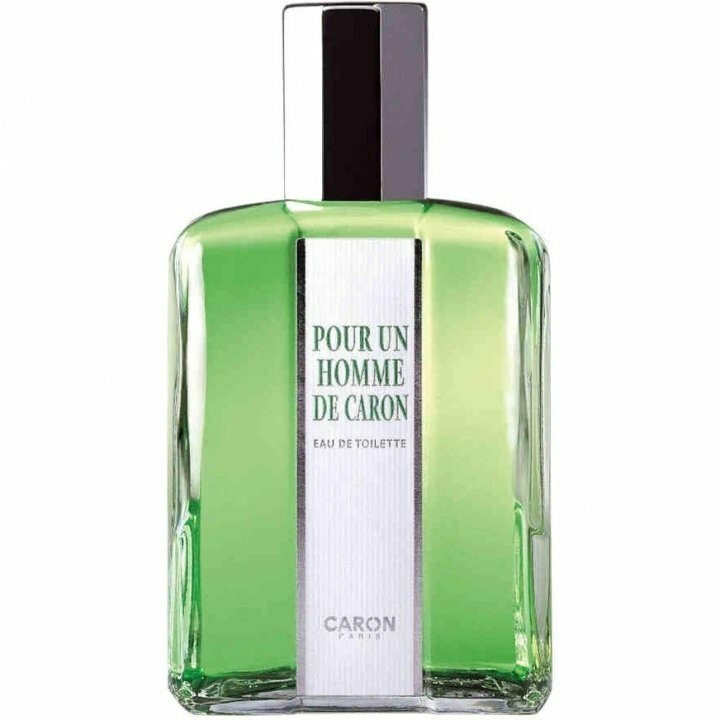 Lavender-vanilla is not one of my most beloved combinations of notes, so perhaps it's not that surprising that POUR UN HOMME is not my favorite Caron--or even my favorite made-for-men Caron. Still, I find the lavender of this particular composition exceptionally harsh and grating upon application. There is a sharpness, a brashness which I do not generally find in lavender perfumes such as Guerlain Aqua Allegoria LAVANDE VELOURS, which I sometimes use as a bedtime scent to induce sleep. POUR UN HOMME does mellow out after a bit, but to my nose, it's always fairly strident lavender sweetened with vanilla, from start to finish.